by Arthur — in Herbal Medicine. The pharmaceutical industry came along and took things several steps further. Studying the receptors of the human body in a way that involved laboratories and little intuition, gave the pharmaceutical companies access to be able to mainline the public with drugs. There is a drug for about anything imaginable and if it hasn’t been thought of yet, give it time. 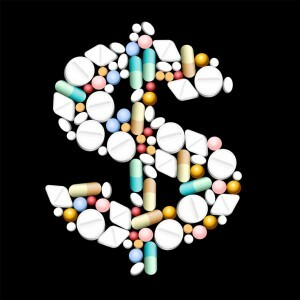 Big Pharma is driven by big bucks, and it’s not a stretch to assume that they view the management of disease as a form of pest control. What they do to contrive a medicinal solution for our physical ailments oftentimes comes with side-effects worse than the problem it’s meant to cure. Modern drugs may be made from plants, but a true Herbalist believes that the remedy works because of a symbiotic relationship between the whole plant(s) and not just a single active ingredient. Whereas in a science lab a single component may be sequestered and a drug is then built around it. This then can be patented. Cha ching. It is our opinion that the giants of traditional medicine are more about the money, than the well-being of the patient. We believe that on a smaller scale, there are wonderful practitioners within the allopathic arena, but that the more natural approaches to treating our physical and mental problems have been discounted to the point where they are fighting for their lives. 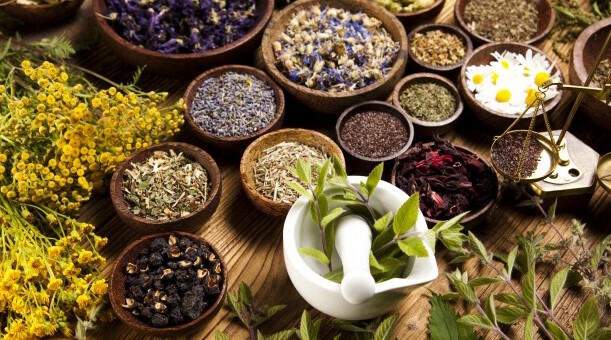 Despite all of this, about 60% of the world’s population use herbal remedies in one form or another. Low costs and less side-effects have driven some of the market away from their herbal counterparts available at the local drug store. Countries like India, where the population is unproportionately high, so are the health risks. More outlying communities are reporting spikes in diabetes, while the urban areas have been dealing with the rise of this condition for decades. Since diabetes is an imbalance in the entire bodily system where carbohydrates, fats and protein metabolism are not assimilated well, and are characterized by the body’s inability to produce insulin, it is a life threatening disease. Herbal applications have been (re-) introduced to stimulate the natural functions that allow the body to maintain a normal production of insulin. Because the growing threat from diabetes is occurring more and more in a country that is open minded due to their long history of herbal intervention, significant trials are underway. There is still many unknowns with diabetes, but the use of antioxidants from plants to neutralize the effects of free radicals has shown promise in reducing the severity of diabetic complications. The positive news is that studies and trials are being given serious consideration. Research in the United Kingdom using various herbal applications to treat different forms of cancer is also in full swing. While there is currently no strong evidence for the efficacy of herbs in preventing cancer, there is some persuasive news when it comes to treatment. In a study performed in Germany women who used Phyto oestrogens and black cohosh for menopausal symptoms lowered their risk for getting cancer compared to those who did not. There is a long way to go when it comes to cancer and herbal applications, but at least it’s on the table. When it comes to the everyday cold virus, sinus issues, minor aches and pains, bruising, cuts and scrapes, plant medicine still carries a lot of known weight. Because the study of herbs for use in traditional medicine has been largely ignored for decades, perhaps centuries, their true value is behind the times. Returning to a more natural and simpler way of life is not yet forefront in the minds of mainstream medicine. Have you had a turn around in a condition as a result of using herbal medicine? Leave a comment below and share your experience with us.